Since 1986, Quality Care Cleaning has been providing top-notch office cleaning and floor care to over 32 years businesses in local areas. Our commercial cleaners are located in Eatontown, Long Branch, Neptune, Wall and we have clients state-wide. 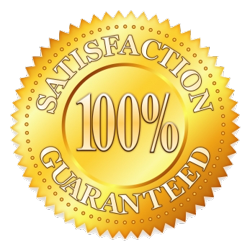 We specialize in cleaning services and our company and cleaners believe in complete customer satisfaction. Products used for cleaning are safe and disinfecting is our job! Each cleaning specialist is trained, uniformed and professional. They are provided with a “Customized Office Cleaning Checklist” created by your personal Account Manager. This office cleaning checklist enforces our commitment to providing the best possible commercial cleaning experience in your janitorial services scope of work. From the time you contact us for an estimate, through signing of a contract you will experience a professional cleaning company like no other. You will instantly feel that you made the right choice in hiring the cleaners and managerial staff of Quality Care Cleaning. Our management team & cleaners are committed to offering the reliable cleaning services. Call Quality Care Cleaning first for a free consultation (732) 523-2099. Copyright © 2018 qualitycarejanitorialnj.com All rights reserved.